Another thing that always made me wonder was the reluctance of Linden Lab to offer differentiated products. It’s a well-known fact that more tailor-made products require more (human) work to deal with different types of clients — and complicate the invoicing — but somehow with computers doing the hard work, the point becomes moot. Consider SL in 2005, or the OpenSim-based grids today. You’d place an order for a new sim. After billing approves your payment, an order is sent to an available technician, who would run to the co-location facilities, look for an available server, install the software, and, with luck, get it running in a short time, so that you can enjoy your new sim. LL used to deliver sims in “batches” (usually twice a week) since those were the days the operations teams would be physically at the co-location facility screwing servers to racks. In those days, the quicker you could deliver a sim to the client, the faster you could invoice them again (for more tier), so, the less options the client had, the better. Hardware was standardised; and so was software: one sim has 256×256 m and 15,000 prims (less in 2005, but you get the point). There were no choices. Now fast-forward to 2008. You have a fully-automated model that charges the customer after they pick a spot on the map, automatically locates the first available sim in the first available server, loads the proper server image (all automatically from a central repository), boots the sim, and delivers to the client. 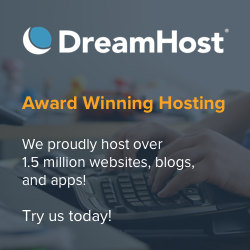 That can ultimately take just a few seconds — as easy as, say, installing WordPress from a hosting provider like Dreamhost. Sims boot very quickly — if OpenSim servers are a valid comparison (even if they’re totally differently designed), you can boot a dozen sims in a bit less under a minute, and that on old hardware. When providing a service does not require human intervention (except when something goes wrong! ), the first thing that a service provider does is differentiation — basically, allowing you, the customer, more choices. So long as these choices are handled by computers and software, it doesn’t make any difference in the cost of providing a differentiated service. Now, LL has basically three choices: mainland sim, private island, openspace (and now homestead) sim. Why so little? It’s not a limitation of the server software. Things like the maximum number of avatars per sim, or the number of prims, are simple variables that are set when the sim boots (some things like the sim’s size, ie. 65536 m2 on a square 256×256, seem to be hard-coded on the client too, so they’re far harder to change). On the other hand, and assuming that LL’s sim software is multi-threaded and works on multiple CPUs, you can start doing nifty things. Imagine having a whole server just for you! Now you could use those 4 cores on just a single 256×256 m sim — and get 60,000 prims and 400 avatars on it! Or, alternatively, configure it to give you 16 low-traffic sims, and spread the number of total prims among them. In fact, depending on how good LL’s code is, you could even fine-tune things more, ie. buying a sim with 50% of a CPU and get 7,500 prims on it. And the pricing, of course, would be flexible to adapt to all those variations. OpenSim can do that at a pinch, and, as often repeated, it’s below-alpha software. So why doesn’t LL offer a similar service? Both the high-end users — getting 400 avatars in a densely-packed event would simply be awesome, and you could buy four servers and do a 1,600-avatar event on sim corners! — and the very low-end users would be happy with more variety on pricing. In fact, giving a constant — a Class 5 server can run up to 400 avatars, up to a 512×512 tile on the map, up to 60,000 prims, all on 1 GB Ethernet, for US$1,200 — that gives quite a lot of variety to pick from! But there is more! For a short while in the history of SL, class 4 sims used to be cheaper in tier than Class 5 sims — you were allowed to pick the server of your choice and pay accordingly. Although I believe that Class 4 sims are only used to run openspace sims these days, LL pretty much gave up on the price differentiation (they’ve grandfathered the tier costs of sims running on Class 4 servers, however). With Class 6 servers on the horizon, people could have a further choice! In fact, this is what hosting providers do. You have a choice of software, hardware, and features. It’s pretty much standard with every hosting provider — you, the client, pick the hardware you can afford, run the software you’d like to do, and select the features you wish. The combination depends on the performance you need and the money you’re willing to spend on it! However, LL never went the route of “flexibility”, relying instead on one-size-fits-all, absolutely standard solutions. Why? While a lot of human intervention was needed, I can understand the problem about setup costs. But now that it’s all fully automated…? … and then announces that for a more limited set of features you’ll have to pay more, which is completely and utterly insane! So the message seems to be: “if you want more flexibility, you pay more than for a standard solution, and get a worse service”. Well, one can understand the theory that a “personalised” solution ought to be a bit more expensive than a standard one — not that you ought to get worse service! But, again, this makes sense only if there is manual labour involved. If the cost of setting up a sim is the same, no matter what its ultimate characteristics are, why should it be more expensive to provide a more limited feature set? I’ve tried to think this over and over, and I really cannot understand, from the little input we get from Linden Lab, how they figure out their pricing. From an outsider it looks like they throw a random number out of their pockets and use it as their price, and then see how well it financially works. But that’s hardly what can be the case, given M Linden’s background and expertise. No, Internet hosting providers are mostly cost-based operations, so there is something missing here in the whole equation. Ultimately, there is a very complex formula that has shown, on M Linden’s spreadsheets, that continuing to provide a “limited set of features” for a fair price will lead Linden Lab to ruin and bankrupcy. Where exactly that happens on the formula is impossible for us mere mortals to understand. But it has to be a very strong point indeed: one that makes LL decide to cut their income in 20% instead of continuing to offer that service. And I’m at a loss to explain such a decision. Perhaps LL should try to use some OpenSim-based servers on their own grid 🙂 They’d be able to run a hundred sims on a Class 6 server pretty easily, provided they’d have enough memory and bandwidth, and sell these for the “magic” price of US$10-30 per month. They’d be fully integrated with LL’s asset servers, so you’d still have access to those billions of objects. But they’d have lousy performance and crash a lot. The point is, they would be ultra-cheap and compete aggressively. Being a Premium account resident, and having the choice between a 512 m2 plot on the stable mainland with 117 prims, or a totally unstable and unreliable private island on an underpowered server for the same price, I’d very likely go for the latter! And I’m pretty sure that most of the 90,000 Premium account residents would think the same way. So, instead of losing a million US$ and 13,000 sims from the grid, LL would, with this option, earn the same amount of money and run seven times as many sims (but use the same number of servers!) — while at the same time making everybody very happy! It would make sense to me, if I lived in a sane world. Instead, Second Life has become Surreal Life, and I cannot figure it out any more.